Primrose Cottage offers weekly bookings starting on Saturday and short breaks of 3 days starting on any day in some seasons. Traditional Norfolk Flint Cottage. One double room. Includes linen, towels, electricity & heating. Primrose offers weekly bookings starting on Saturday and short breaks of 3 days starting on any day in some seasons. This spacious comfortable cottage is south facing and situated in the conservation area of Great Massingham which is one of North Norfolk's most attractive villages. The cottage is situated within 5 minutes walk of the church, village shop, public house and bus stop. Guests have full access to the large secluded garden with various seating areas, including at the back a wild garden giving views of the church. The bedroom and bathroom with shower over the bath are on the first floor. The stair case is modern, straight and wide. The kitchen overlooks the garden at the back and has a small table. The back door leads to a small patio area with table and two chairs. The lounge includes a dining table. 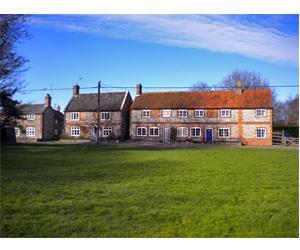 This is an excellent touring base for touring the unspoilt countryside, coast and historic market towns. Parking, heating and linen included. Dogs welcome. Brochure available. From A148 King's Lynn to Cromer road, turn right into Harpley village. Continue straight signposted Great Massingham. Follow main road through village. Just past telephone box, then turn left. From King's Lynn - 13 miles Bus stop near church. Cottage is about 5 minutes walk. Turn left at crossroads just past red phone box near pond.